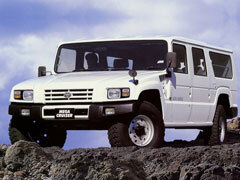 Toyota Mega Cruiser is Toyota's answer to the famous american Hummer. 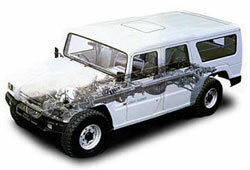 On this web site, you will find information about this vehicle. Note that this web site is not affiliated with Toyota at all. 8 movies of the Mega Cruiser in action. This Specifications sheet should provide you with everything you need to know about Mega Cruiser. 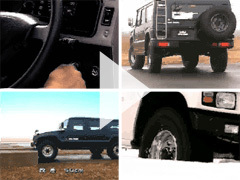 Toyota Mega Cruiser is not alone on this restricted market of "very large all-road vehicles". The american Hummer is undoubtedly the most popular, but other car manufacturers launched out with more or less of success their own model.